While apps have made meditation more accessible, there’s nothing like attending an in-person session to really progress your practice. And now that there are studios focused solely on sitting, attending a drop-in meditation class will soon be as commonplace as going to yoga. 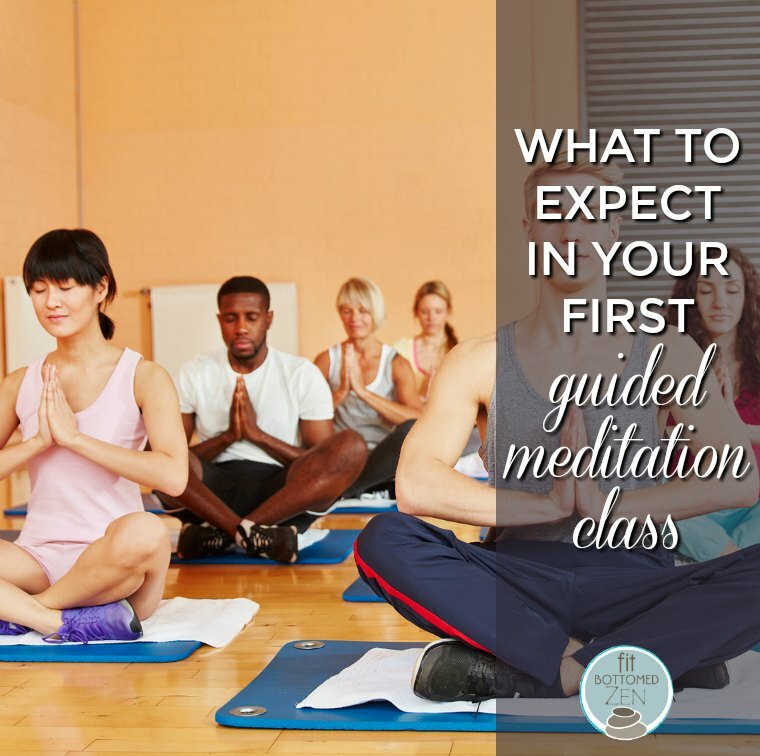 But if you’re new to meditation, or have never been to a class, you may be wondering what happens after you pay your entrance fee, and are then instructed to sit. Here’s what you need to know before going to a guided meditation class. Aside from the 1 hour or more type of lecture series (like Buddhist groups), which include a session (or two) of meditation within, most classes will last no more than 30 minutes. This makes it easy to squeeze one in during lunch, and less of a time commitment if you’re nervous about being able to sit still. While you do want to feel comfortable while you’re sitting, there’s no need to wear yoga clothes. You will be expected to remove your shoes upon entrance, so you may want to put on a fresh pair of socks. Most studios offer options when it comes to the sitting part. There will be the standard cushions, but there will also be variations including some with back support as well as regular chairs. Studios usually have yoga props (bolsters and blankets), which you can incorporate for more comfort. And there’s always the wall where you can sit against. Some instructors even encourage you to lie down. Unlike yoga, where you can always recognize beginners compared with those with more experience, in meditation we all look the same! Most classes keep their instruction basic because even the most advanced practitioner is still working on the primary concept of keeping a singular focus. Attending just one meditation class isn’t going to make you a pro meditator. You will need to keep at it. So whether that means attending class several times a week, or going only once weekly and then tuning into your app the other days, the key is consistency. In New York, you’ll find fees upwards of $20 for a drop-in meditation class, which may sound like a lot for 30 minutes of instruction. But when you consistently show up in person, you’ll have the added benefit of the community, which helps with accountability and sparking friendships. It’s an investment into your practice, which will ultimately benefit the rest of your life.